2nd PLACE: Atticus; 3rd PLACE: Kizuri; NORTH IDAHO'S BEST: Lucky Monkey Trading Co.
Meet Sylvia Darcy, one of the vendors at Fray in Coeur d’Alene. Walking into Fray is like walking into a do-it-yourselfer's dream. Everywhere you look, a vintage piece has been revived with a fresh coat of paint or new upholstery or repurposed into something completely new. Like the secretary desk that was once a 1907 Vose & Sons piano. Or the mirror framed by pieces of metal salvaged after Hurricane Katrina, the metal barrel that was upcycled into a chair. Even the aprons made from men's dress shirts have both a vintage feel and modern accents. "Some people go down memory lane [in the store]," Sylvia Darcy, one of five vendors who operate Fray, says. "They're reminded of their grandparents or their mother when they were little. Some people are bummed out because they gave away that piece they should've kept." Furniture, including couches, dressers, tables, chairs and storage pieces like a set of distressed lockers, new and "pre-loved" clothing, including tops, bottoms, shoes, accessories and even faux fur coats, and lighting fixtures make up a majority of the store's inventory. But if you look around, you'll find surprises like a tray of weathered plastic letters used in readerboards and various kitchen tools. Fray also holds classes several times a month in the workspace in the back of the store. Past classes have featured wire-wrapped jewelry, vintage albums, woodland wreaths, stained glass and chalk paint. 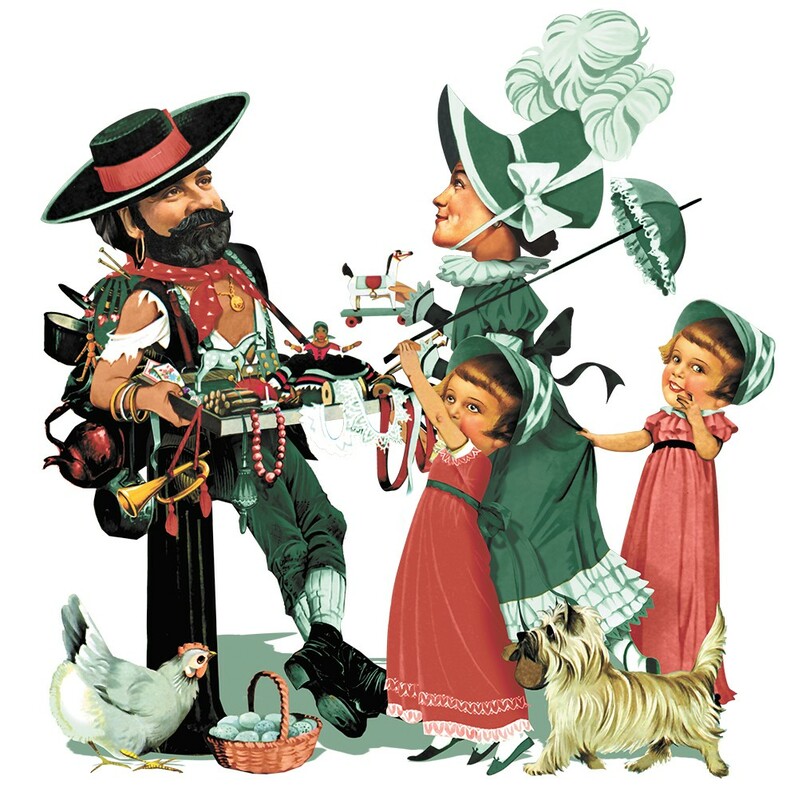 The five vendors began throwing around the idea of opening their own store after Shabby to Chic Shoppe, for which they all repurposed pieces, closed. It took a few years for things to come together, but two and a half years later, Fray is a gem of Coeur d'Alene's growing Midtown neighborhood. Darcy thinks the changing economy, a more consumer-conscious culture and the quality craftsmanship of older items is bringing vintage pieces into the mainstream. 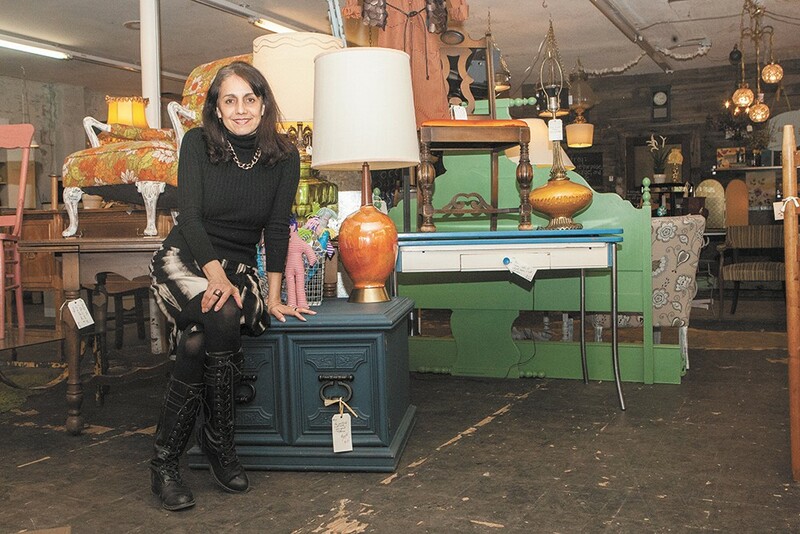 She also thinks a renewed interest in completing projects yourself, plus the opportunity to make a long-forgotten item new again, is driving people into stores like Fray, which fits perfectly with the store's aim to repurpose, salvage and upcycle. "STCU is me." We've seen the phrase emblazoned across billboards and bus banners, and we've heard it proclaimed in the catchy TV spots by community members and business owners, touting their sincere loyalty for what started out as Spokane Teachers Credit Union. For members and nonmembers alike, it's been these ongoing marketing campaigns that have made us more familiar with the hyperlocal focus of STCU. Chances are, most of us know of at least one of the dozens of people — a family member, a teacher, a local business owner — who've shared their personal stories about STCU since the testimonial campaigns were first launched back in 2000. "The union is member-owned, so it makes sense that our members are the face of our marketing," says STCU's Vice President of Marketing Barb Richey. She's been overseeing marketing since the second year of STCU's move to testimonial-focused advertising. Richey herself was featured in one of the credit union's earliest commercials, back before she started working there. At the time, Richey was an employee at Eastern Washington University. In her spot she candidly said she'd been a member of the union since 1986, and that STCU is where she opened her first checking and savings accounts and took out her first car loan. Her story isn't unique, and that's partly why she says these always unscripted testimonials have been so impactful, helping grow STCU's membership to the more than 134,000 members it serves today. "Every employee at the organization has an alabaster heart on their desk that signifies the heart of the member, and we focus on that to make decisions every day — we focus on that love of the members," Richey reflects. "In turn, I think our members truly love us and some members feel like they want to share that love, and when they do, it just happens to be about their farm they're working on, or the business they own." 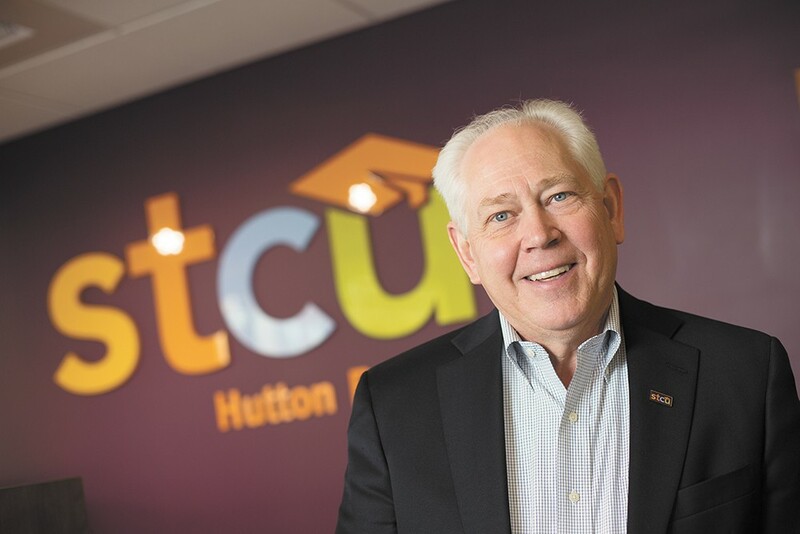 If STCU's story of growth seems a bit cloying, that's because it is a throwback. In an age of corporate banking scandals and online convenience trumping face-to-face human interaction, sincerity and an unfettered devotion to its members is why STCU has simply continued to outshine itself year after year. Considering this, it's also no wonder that the credit union is now celebrating its 10th consecutive win in this category since 2006's Best Of readers poll. Beyond STCU's love of its many members is a wider appreciation of and love for the community where its members and employees live and work, Richey adds. One indication of its continued commitment to that effort is the growing participation in STCU's "Who Do you Love?" campaign, held every February, and for the fourth time this year. Locals are invited to nominate and then vote for regional nonprofits to receive a donation from the credit union. The number of nominations and subsequent votes in the contest has exponentially increased since that first year, with 8,000 individual nominations submitted this year, compared to 500 in the contest's first year, 2012. 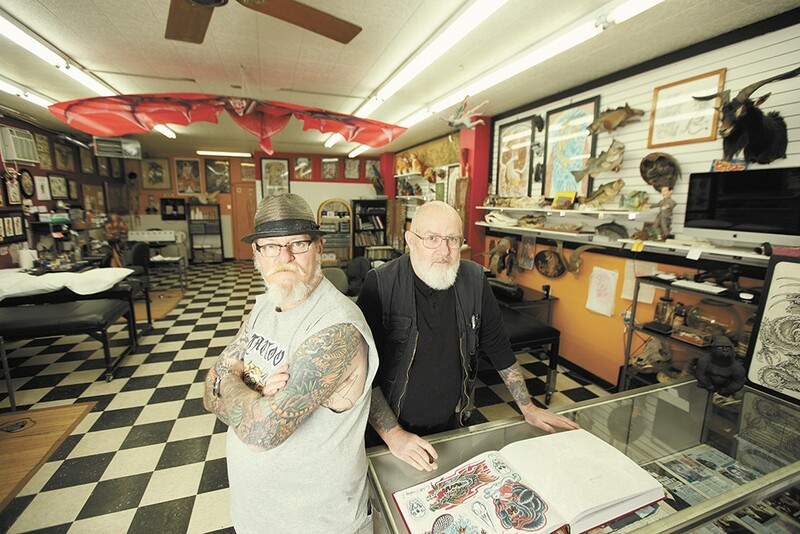 Tattoo artist Duffy Moon, left, and owner Walt Dailey at Tiger Tattoo. While tattoo artistry is not exactly considered a subtle line of work, Tiger Tattoo owner Walt Dailey is a man with an eye for the finer details, both in and outside of his tattoos. Having spent more than 36 years in the world of ink, Dailey is one of the most experienced artists in the Spokane area, and he gives off an air of humble and adept wisdom. "The only reason I know 36 years off the top of my head," Dailey thinks aloud, "is because I have a tattoo club membership card that says '36 Years' on it." To Dailey, this number is fairly inconsequential, but to the clientele of Tiger Tattoo, there's inherent talent and care from three and a half decades of practice. This, Dailey speculates, is what makes him and his staff — Duffy Moon and Sienna J. — such a popular choice for a tattoo in Spokane. It's also due in no small part to the fact that, like any great local establishment, the people at Tiger Tattoo absolutely love what they do. "It's nice to be able to make a living but not have to work for a living," Dailey says. "I'm happy on my way to work, I'm happy with the work that I do." Tattoos are not always associated with joy, but Tiger Tattoo was clearly born with joy flowing through its ink-filled veins. Dailey takes an obvious pride in his handiwork and relishes the opportunity to be a part of his customers' self-expression. "Tattoos are such a deeply personal thing," he explains, "so naturally everyone is ecstatic when they get their first one. But if they come back for that second one or that third one, that's a really good feeling." Moon, working on a client at the tattoo station to Dailey's right, chimes in. "We've got some people that we've been tattooing for so long," Moon says, "that now we're tattooing their kids and their grandkids." It's impossible to overstate how remarkable it is that Bob Gallagher's 4,000 Holes has stayed so beautifully consistent in its more than 25 years of existence. 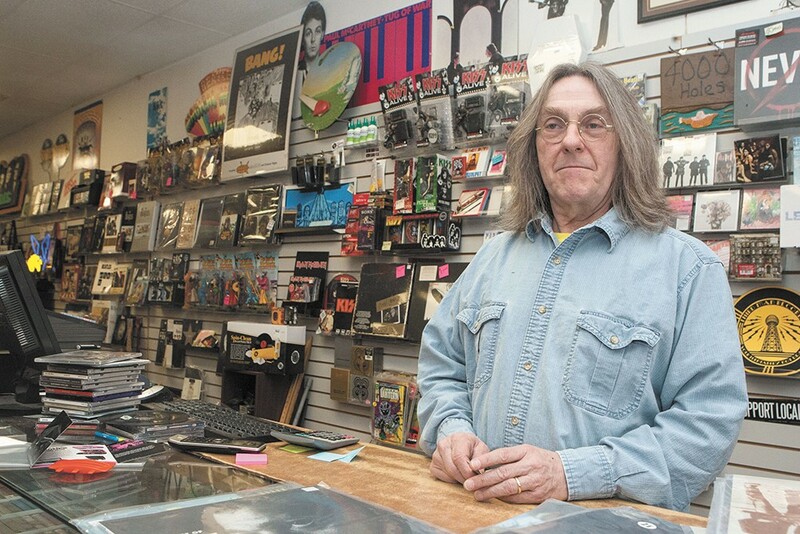 Given the decades of exciting and terrifying industry changes, the owner of the beloved Spokane record store has had every reason to cut his losses and find a more merciful line of business. "We've been force-fed digital for over 20 years," Gallagher says, "but it has never sounded better than vinyl." Undoubtedly, the recording industry has become obsessed with using digital formats as their main form of distributing music to the public, and why wouldn't they? It's cheaper for them, without any of the laborious and expensive production costs involved in making LPs and CDs. And the convenience of digital music being available on the fly makes it look like they're doing you a favor. "People like to come in and shop from me because of three common denominators," says Gallagher, holding three fingers in the air. "Because they like the better sound, they like the feeling of owning music, and because they have jobs." He laughs. Indeed, collecting records is not the world's cheapest hobby. "I have 3,500 CDs at home. If those were all vinyl records," Gallagher jokes, "I'd probably be single, living alone somewhere." That being said, record collecting is also inexplicably rewarding. Gallagher calls it "vinylitis." "I can't even tell you why I like these things so much," he says, waving a copy of Surf's Up by the Beach Boys in the air. "There is something about this that I just can't resist."